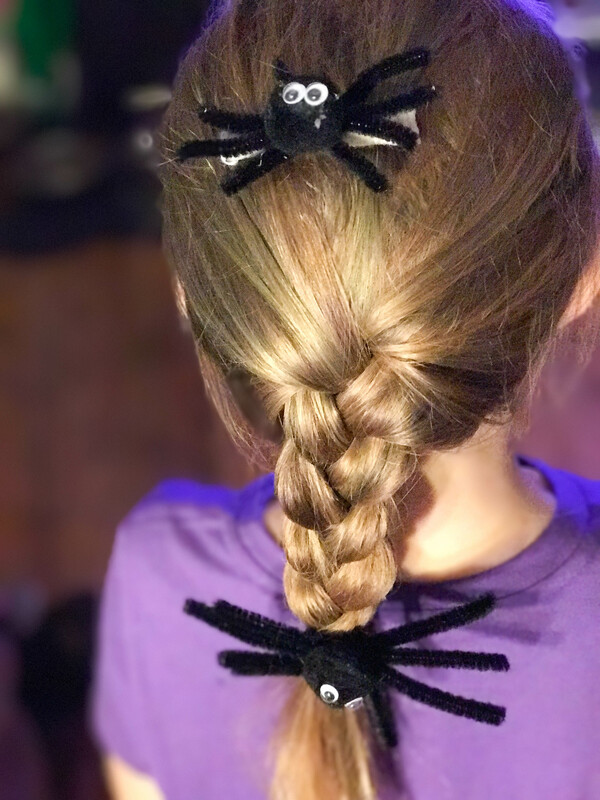 A simple Halloween hair style. 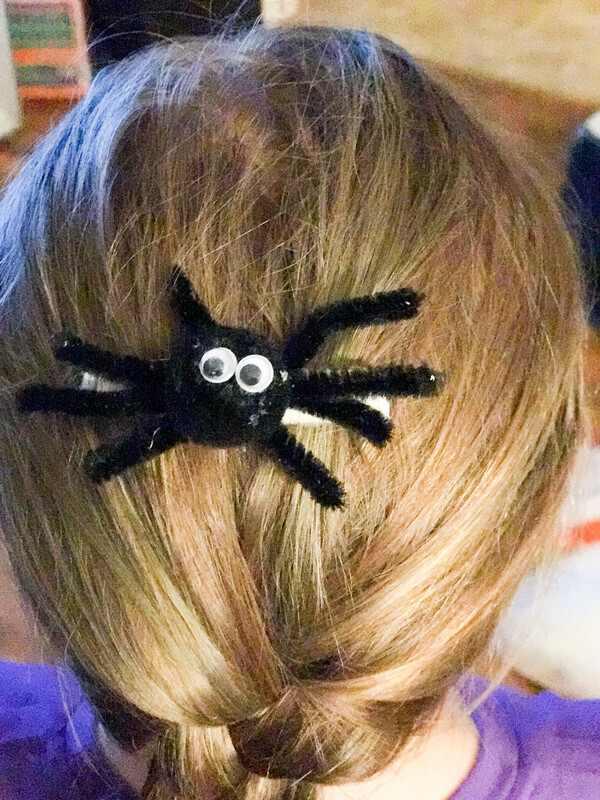 Create a fun spider craft that can double as a Halloween hair accessory. We created Halloween hair ties and Halloween barrette with our spiders. 2 years ago, for Halloween I decided to do an easy Halloween hair style for Willow. We took the spider rings, cute the ring part put several in her hair. It was so easy but really cute. The only problem is, she said it kind of poked her in the head and bothered her through out the day. With these easy to make Halloween decorations, Willow and Serenity can have their hair Halloween ready in no time. This year she wanted something similar so I decided to see what we could do to make her something new and that wouldn’t bother her. 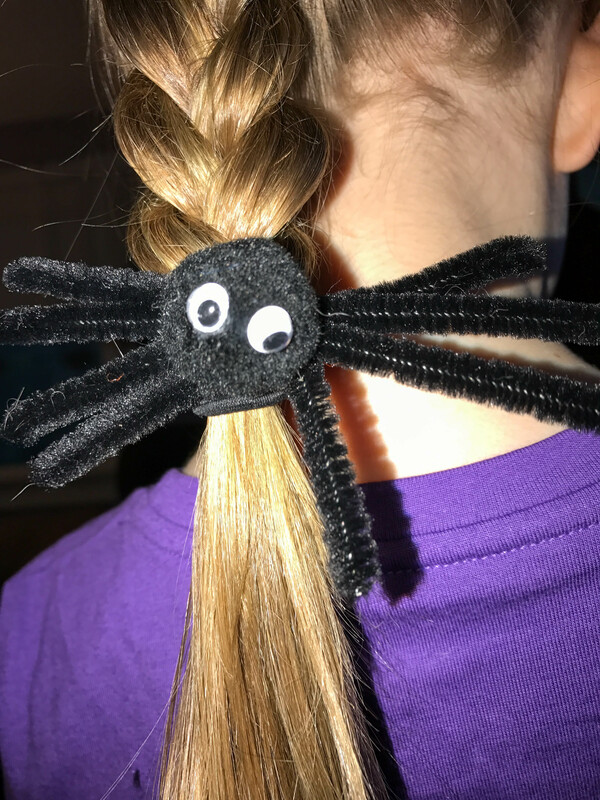 That is when we made this simple spider craft that I turned into a Halloween hair accessory. We actually made 2 kinds. 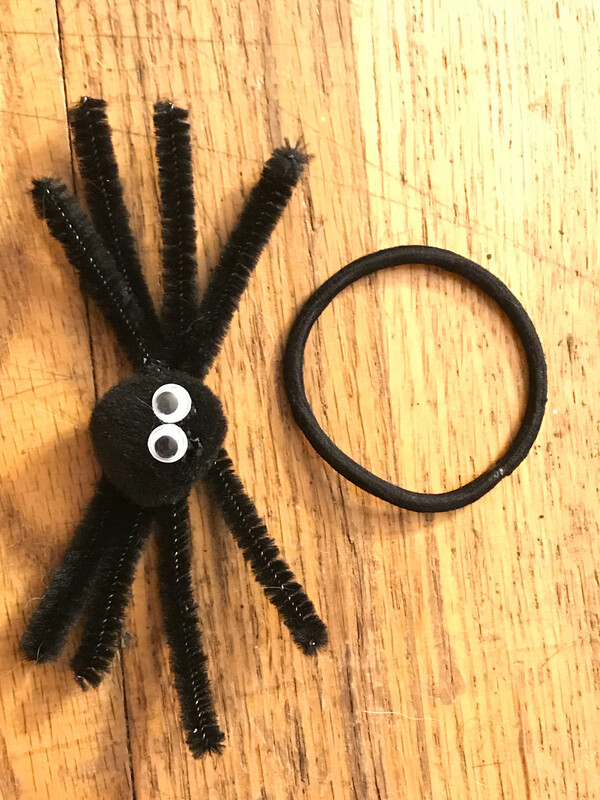 I made a spider hair tie and a spider barrette. This spider craft is so easy to make, kids will love helping. You only need a few supplies and about 2 hours to let it dry completely and set. 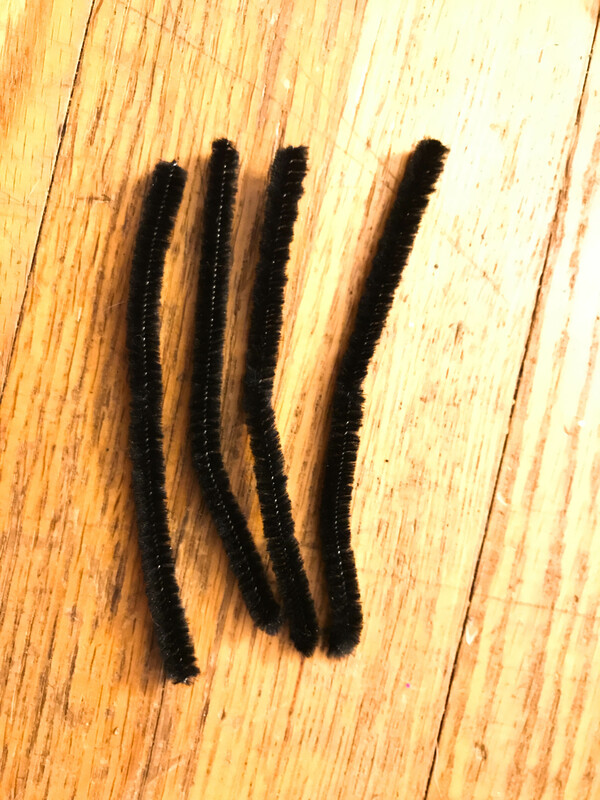 Take 2 pipe cleaners and cut it so you have you have 4 pieces total. Lay 3 of the pieces next to each other and take the 4th and twist it around the others. This holds all the legs together. Move the wrapped piece into place so that it lays with the other legs. 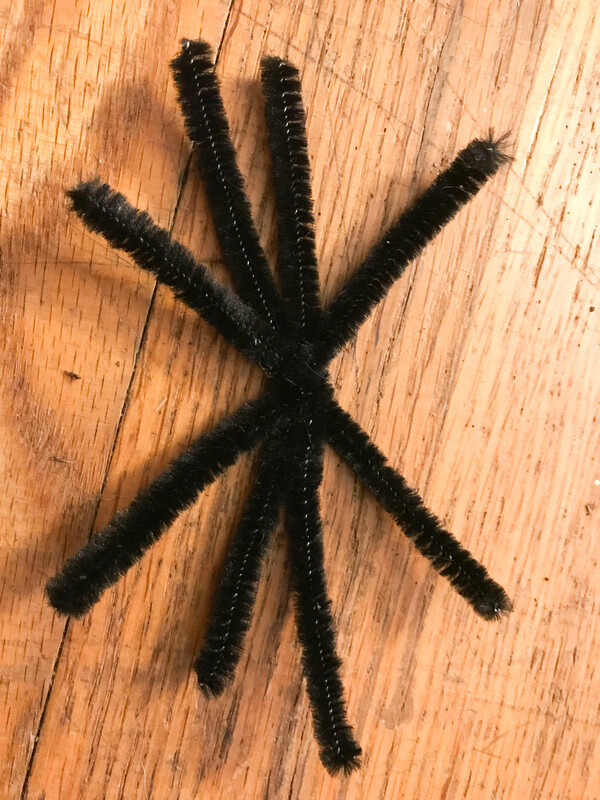 Glue the pompom onto the spider legs. Then glue the eyes on the pompom. Your spider is ready. Next to make the hair tie. 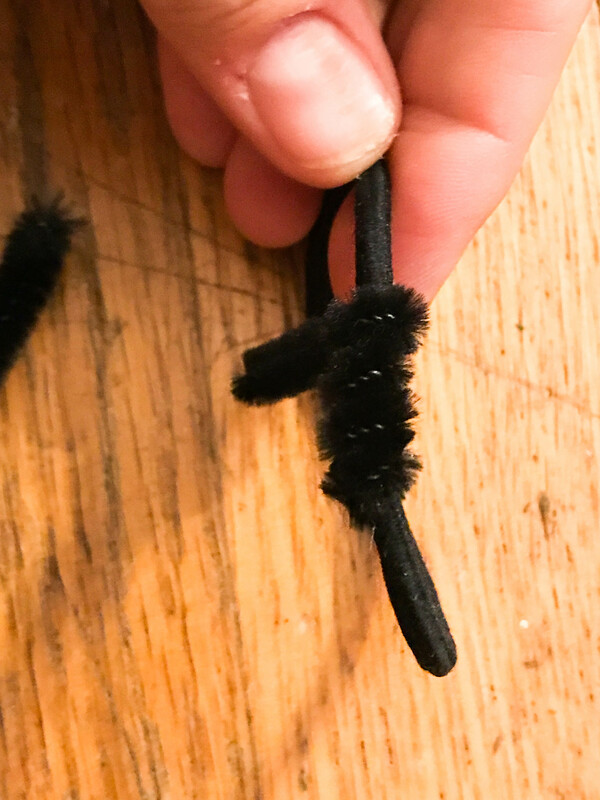 Take another pipe cleaner and wrap it around a section of the hair tie. This gives you a base to glue the spider on. Once dried, you can use the hair tie to hold a pony tail or at the base of a braid. 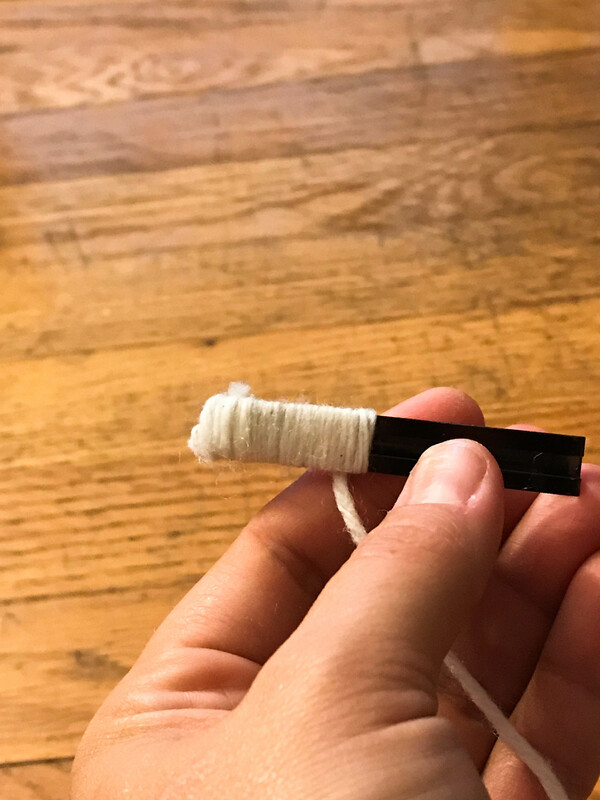 To make the barrette, start by wrapping the top part of the barrette with yarn. White looks like a spider web, black blends in with the spider. Glue the ends of the yarn to hold it in place. 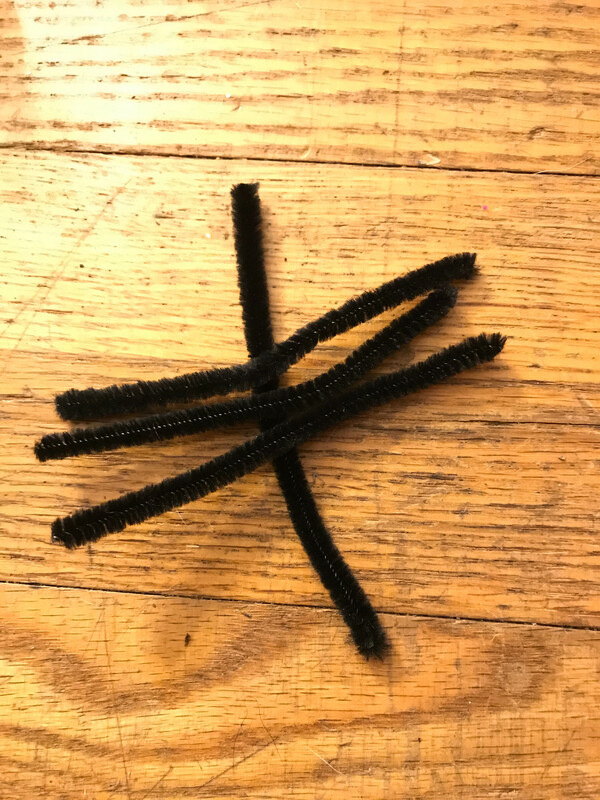 Once the barrette is wrapped and dried, glue the spider onto the yarn. Let dry. Once it is dry, it is ready to be used. We added the barrette to the top of the braid but it can be used anywhere in the hair that a barrette would work. This Halloween hair style is something that anyone can do. It is so easy and can be made at the last minute.